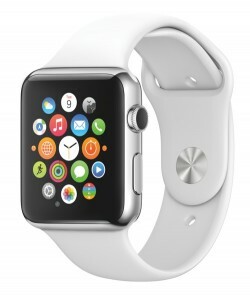 Apple today released a new software update for the Apple Watch, upgrading watchOS 2 to version 2.0.1. The update comes one month after Apple first released watchOS 2 to the public with new features like Nightstand mode, native apps, new watch faces, and more. The 2.0.1 update can be downloaded through the dedicated Apple Watch app on the iPhone by going to General --> Software Update. To install the update, the Apple Watch must have 50 percent battery, it must be placed on the charger, and it must be in range of the iPhone. watchOS 2.0.1 requires iOS 9.1 or iOS 9.0.2 to be installed on the iPhone. The watchOS 2.0.1 update includes a whole slew of bug fixes, as listed above, and it also includes support for the new emoji also made available in OS X with 10.11.1 El Capitan and iOS with iOS 9.1. Is the update transferred to the watch by Bluetooth? Beginning to think it's by fax. I'm just curious as to why you needed to make such a mean spirited comment. I, and many more than 10 people, love the watch. You don't. That's fine. Have a nice day. Awesome! We all know that you created an account today just to act like a childish douche! Downloading now in the UK. Based on last update, I have a sleeping bag and thermos of soup standing by. CARP. Didn't bring my watch cable to work today. We all gotta stick together! Apparently, there are not a lot of us. It's recompiled in assembly via morse code. Thanks for those kind thoughts. Who are the other 9?